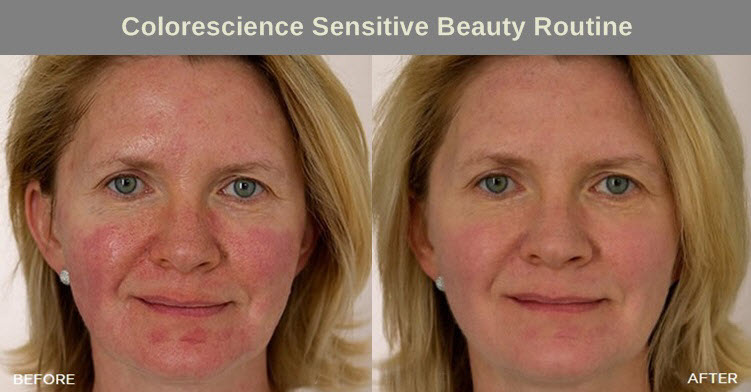 The sensitive beauty routine soothes and neutralizes the skin. It is great if you have had a laser treatment. Apply 1 pump of Skin Calming Face Primer to your cleansed face. 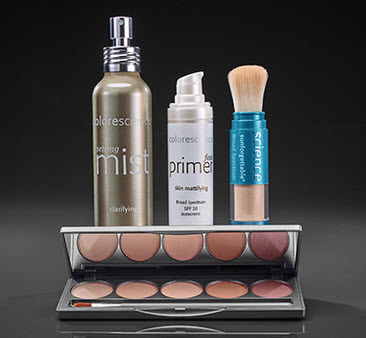 Cover your dark spots and imperfections using the guide on the back of the Mineral Corrector Palette. Spray Hydrating Setting Mist several times in a clockwise motion. Apply Sunforgettable sunscreen in a circular motion over entire face. 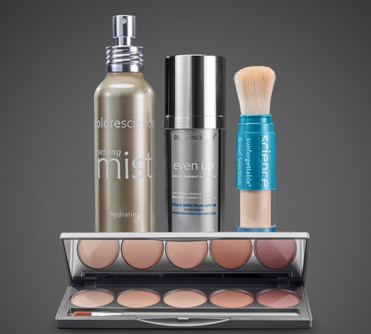 Reapply every 2 hours for continued protection. 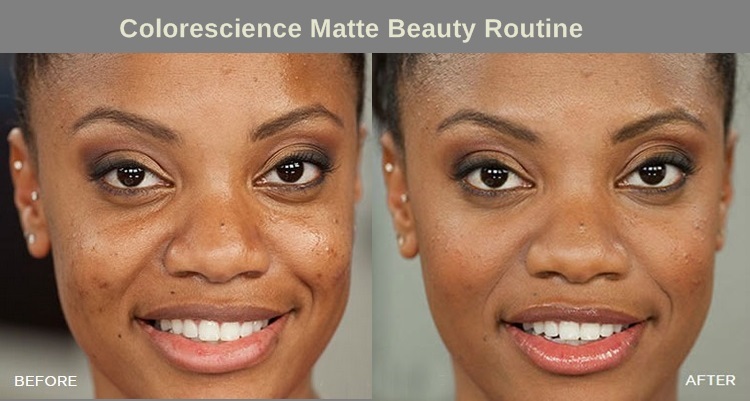 This routine evens the skin tone and dark spots. 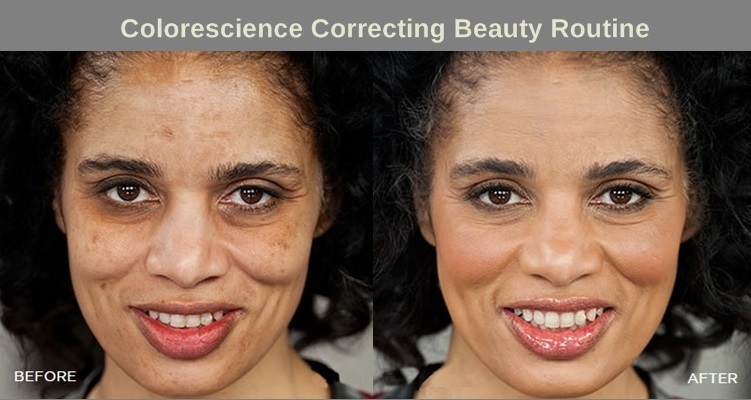 It also reduces the appearance of skin discoloration. Apply 1 pump of Even Up to your cleansed face. This routine is wonderful for acne and helps to control shine and oil. It neutralizes redness and blemishes. 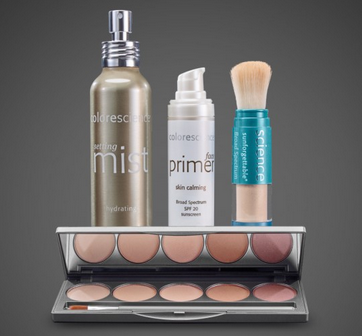 Apply 1 pump of Skin Mattifying Face Primer to your cleansed face. Spray Clarifying Setting Mist several times in a clockwise motion. [/vc_column_text][/vc_column][/vc_row][vc_row full_width=”” parallax=”” parallax_image=””][vc_column width=”1/2″][vc_column_text] [/vc_column_text][/vc_column][vc_column width=”1/2″][vc_column_text] [/vc_column_text][/vc_column][/vc_row][vc_row full_width=”” parallax=”” parallax_image=””][vc_column width=”1/1″][vc_column_text]Contact Senta at the office 561-748-0510 to reserve your beauty routine or fill out this form to reserve or if you have any questions.